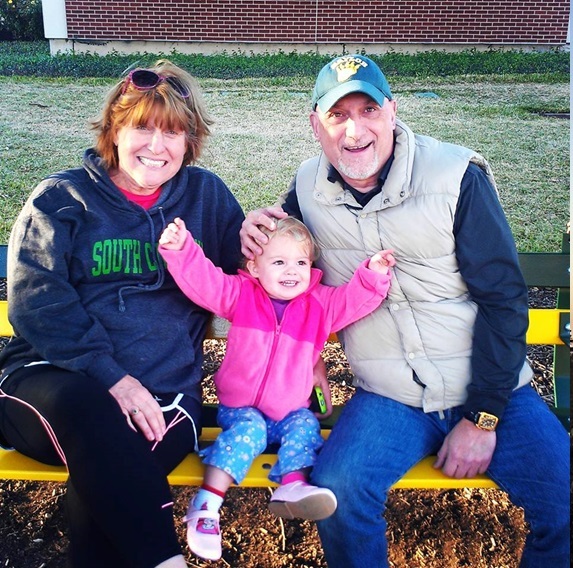 This is Emmie and her Gramma and Grampa on the campus of Baylor University. Just chillin’ on a Fall evening. This whole page is about our granddaughter. 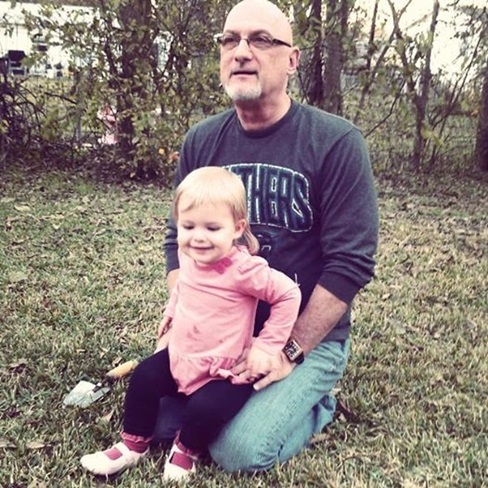 You probably already knew this but…grandparents are a strange breed. Really. We are. We go from rational and balanced human beings to shameless psychos in an instant. One minute, normal…the next minute, psycho. Show us the latest photo of our grandchild and we make sounds and create words that just don’t happen in civilized populations. The really weird aspect of the grandparenting psychosis is that we don’t care how we sound. We are shameless on every level. 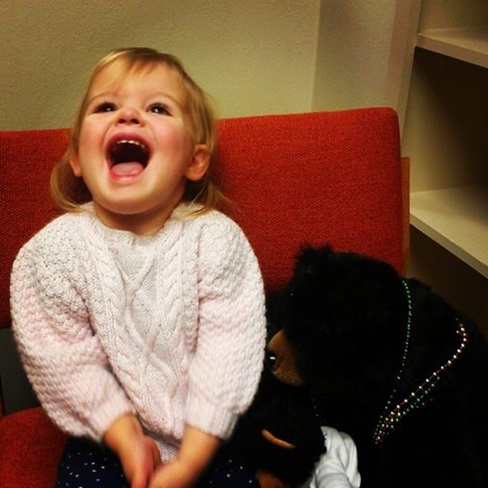 Here are the latest Emmie (2 years old in January 2014) photos. 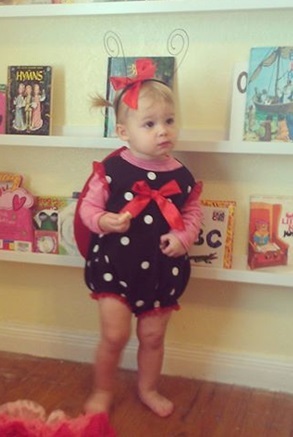 She is the smartest and cutest baby in the history of babies. Shameless…but we really believe it. More Gramma and Grampa at Baylor. We’re hanging out with Robert Griffin III in this photo. 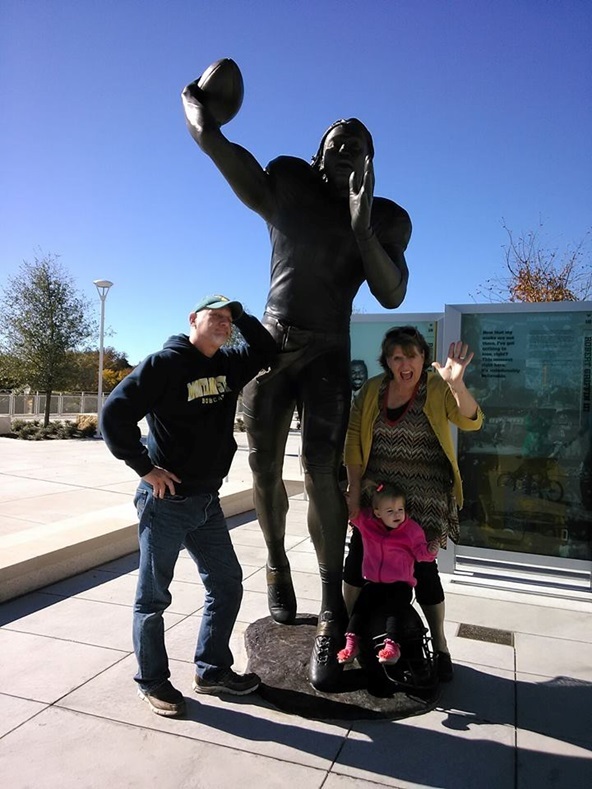 RG III is pretty awesome…especially in Waco. But Emmie is a lot cuter. 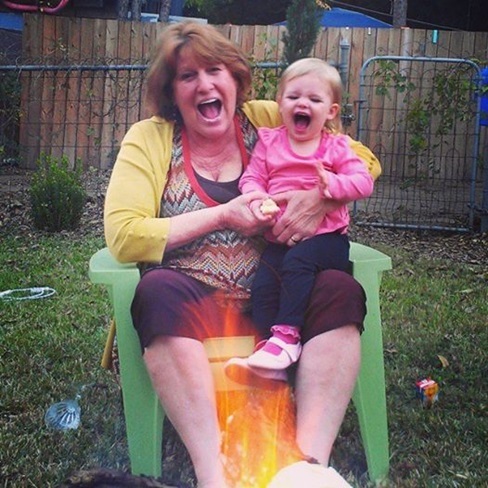 Gramma and Emmie sitting around the campfire. I think they want some marshmallows to torch. Who is the ladybug looking for a book to read? Ummmm….first trick-or-treat candy, Mommy. Then we read that book about little monkeys with head trauma. 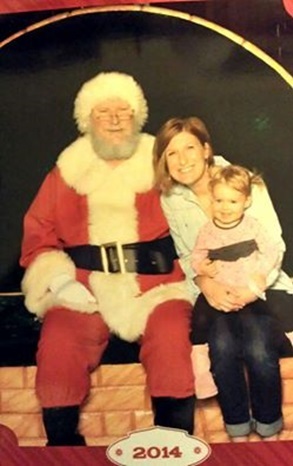 Santa isn’t so scary when Mommy is close. Stay away from sketchy-looking old guys with beards…except Grampa. 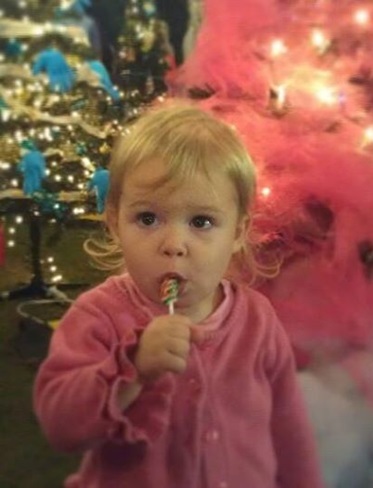 Christmas lolly pop is too good to pass up. YUM!! Time to go outside with Grampa. Grampa likes dirt and sticks and stuff to climb on. All the stuff Emmie Beal loves too. What do we say about football, Emmie? SIC ‘EM BEARS!!! Emmie Beal and her bear buddy. 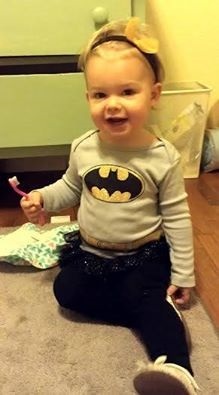 Batgirl Emmie with her secret weapon: a magic tooth brush. Dang that kid is cute. 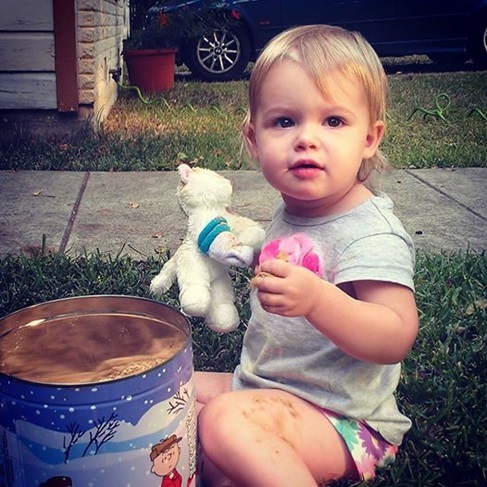 Emmie Beal with a cookie and her kitty and a big ol’ can full of sand. Which to put in your mouth first? Mmmmm. All of them. 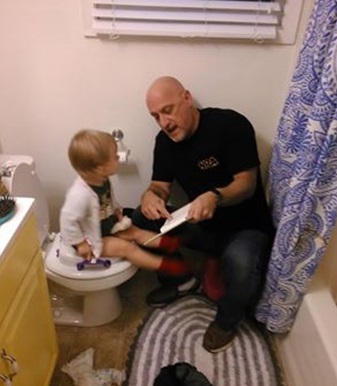 Trying on boots with Grampa. 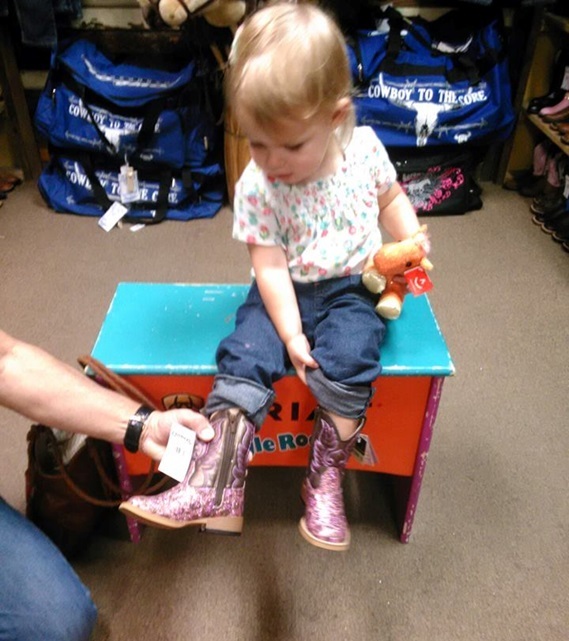 Cowboy boots are in her blood. We wear ’em. A lot. 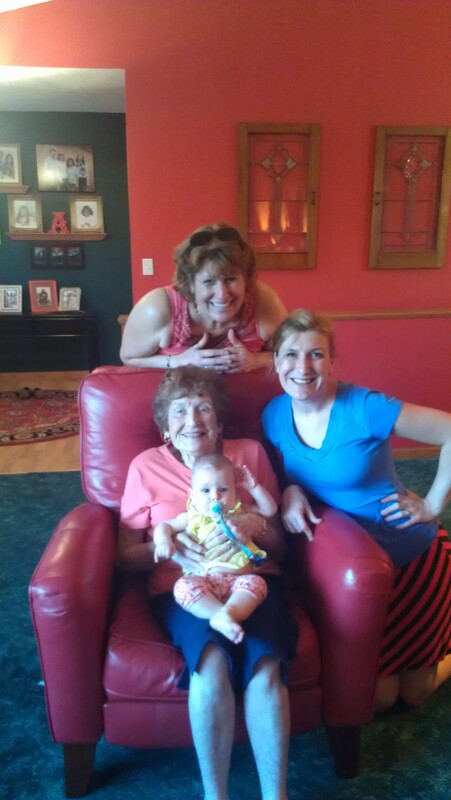 Four generations of Yeggy women. Grandma Yeggy, Denise Marie, Anna Elizabeth, and Emelia Margaret Beal. This isn’t a new photo. I just like it. Just beautiful Denise. No shame all honor!! !